The collaboration between a rapper/beatboxer/singer-songwriter from Syracuse, NY and an electrifying African kora sensation from Guinea pushes genre boundaries and earns raves. Driscoll and Kouyate blend hip-hop, spoken word, funk, and soulful, accessible rock with Afrobeat, reggae and irrepressible African grooves. Kouyate are matched by the explosive energy of Driscoll's rapid fire rhyming." "A gloriously accessible collision of styles. It's an unlikely collaboration that works, magnificently." 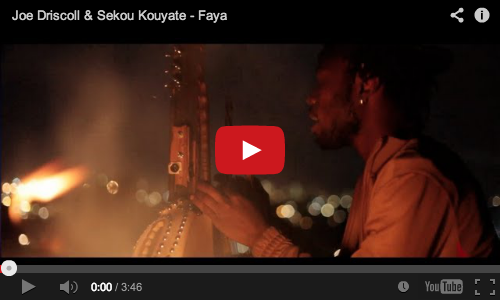 Stream a preview of the entire Faya album. 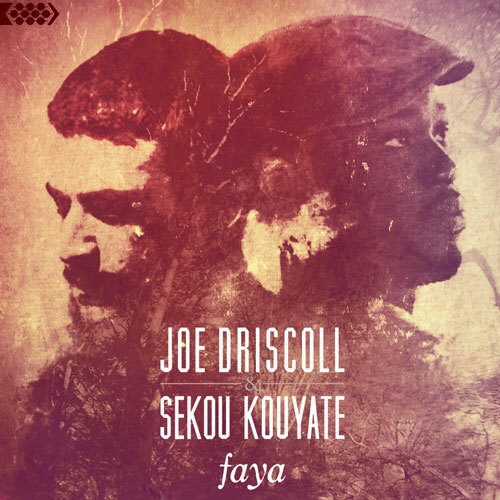 Joe Driscoll & Sekou Kouyate will be on tour in Europe this Spring. North American dates will be announced soon.